These look like some very cozy sneakers. Converse is one of those brands that will always be relevant within sneaker culture. The Chuck Taylor and the Chuck 70 are iconic high-top silhouettes that should be a staple of any sneakerheads' collection. There are so many colors to choose from, and the dynamic silhouette works with almost any fit. You can really do no wrong with a pair of Converse kicks. Just like any brand, Converse has been looking to change it up with the Chuck Taylor model, something that was seen when Virgil Abloh made the silhouette a part of his "The Ten" collection with Nike. Now the brand is looking to collaborate with CLOT, who have been going off the last year with their collabs with Nike. 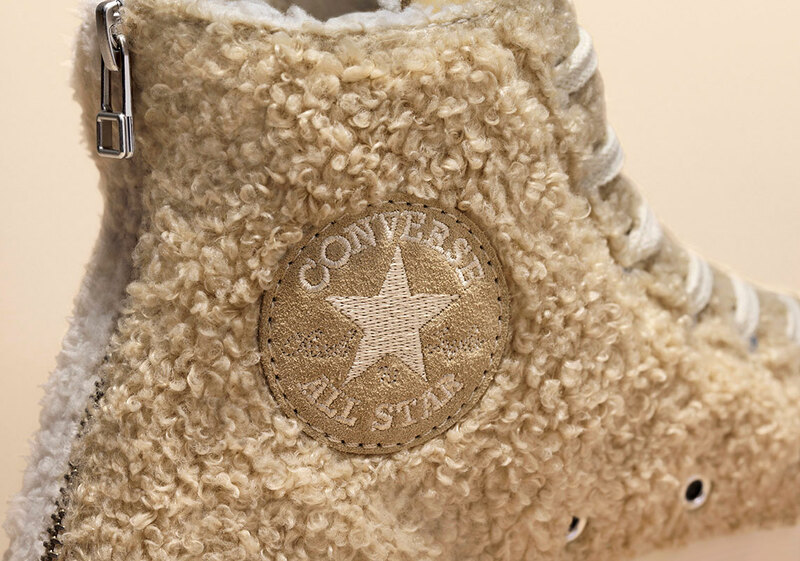 The brands came together on the Chuck 70 and are coming out with a sneaker that looks like a big cozy sweater. These kicks have two shades split down the middle by a zipper on the back heel. One is a more creamy shade of beige while the other side is a creamy brown. There is also a translucent midsole, which makes it look as though there is some snow above a layer of ice. It's clear that both brands were going for a winter wonderland aesthetic. According to Sneaker News, these will be coming to Converse.com and some select retailers on February 1st. Are these a cop or drop?